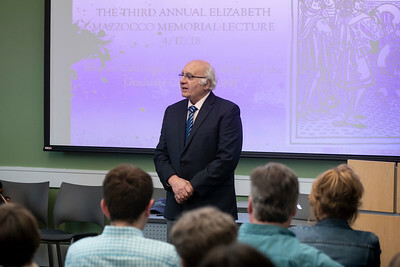 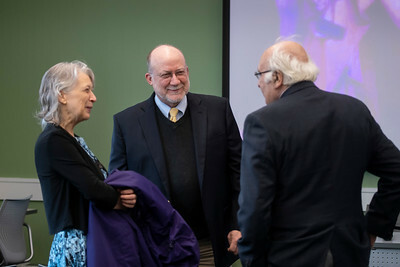 In April, Five Colleges organized the third annual Elizabeth Mazzocco Memorial Lecture at UMass. 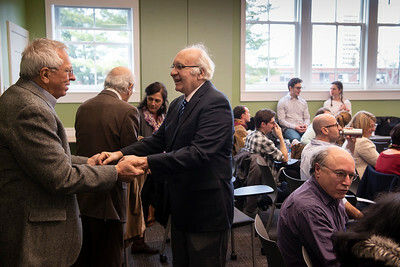 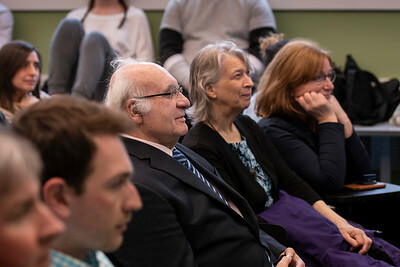 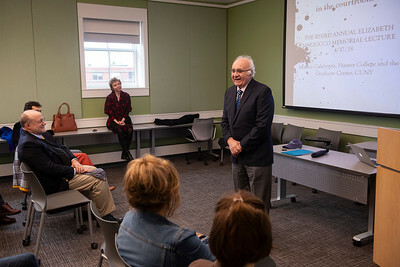 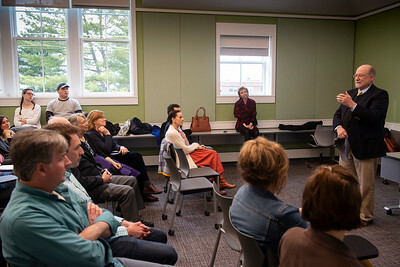 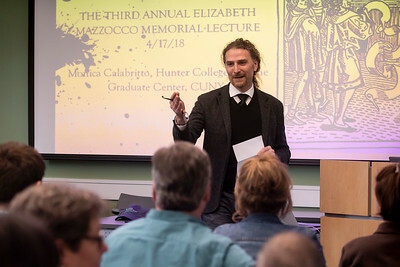 The lecture is named for Elizabeth Mazzocco, director of the Five College Center for the Study of World Languages and professor of Italian at the UMass Amherst from 1990 until her death in 2014. 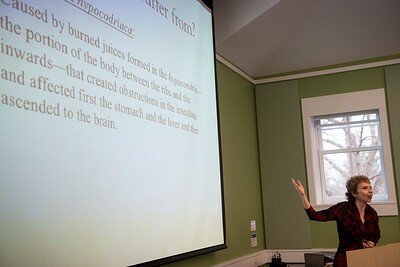 She was a specialist of language teaching methodology and a scholar of the Italian Renaissance. 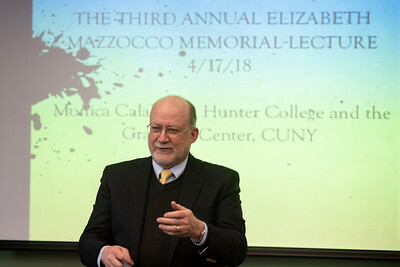 This year’s Mazzocco lecturer was Monica Calabritto from Hunter College and the City University of New York Graduate Center. 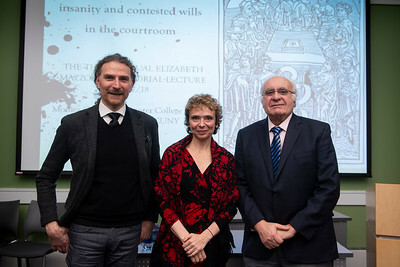 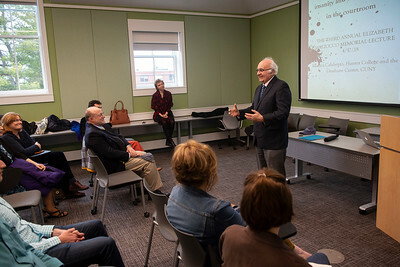 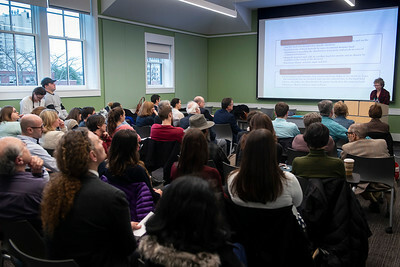 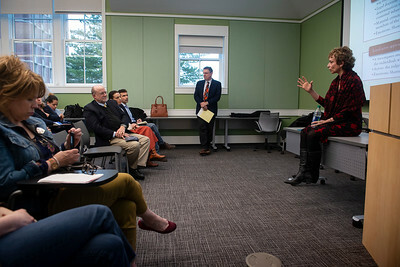 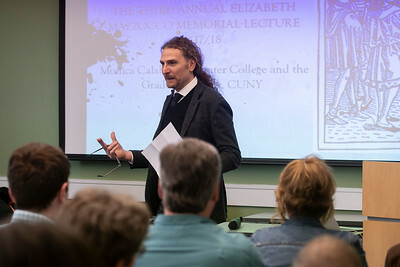 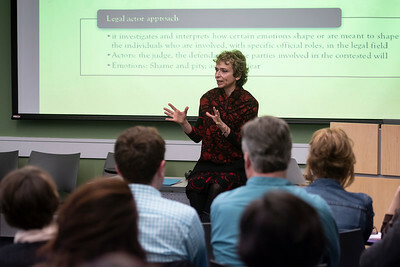 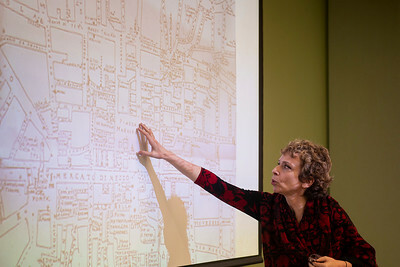 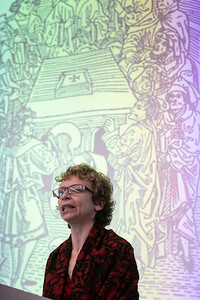 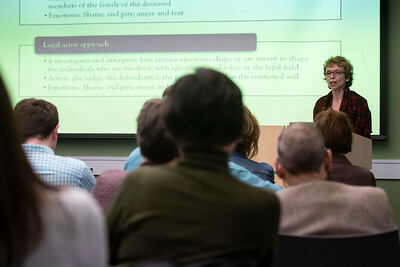 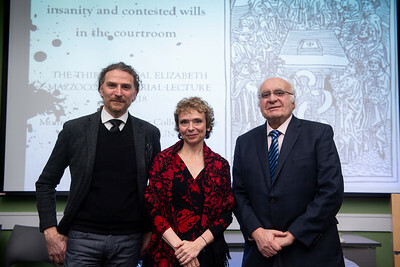 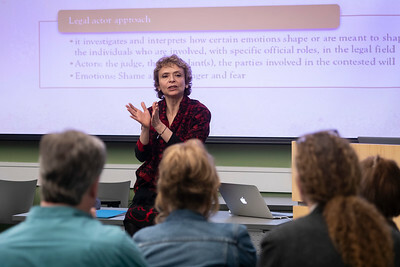 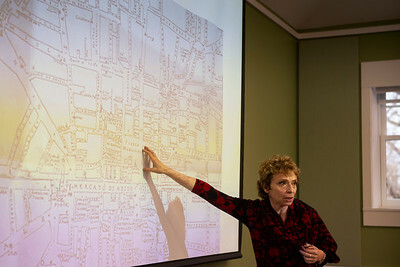 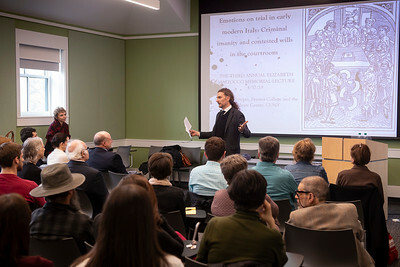 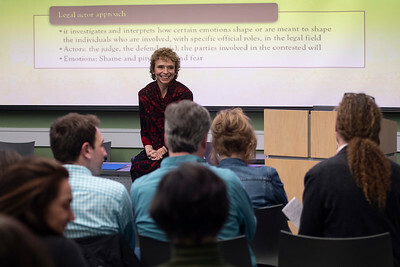 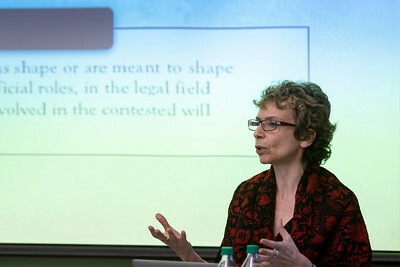 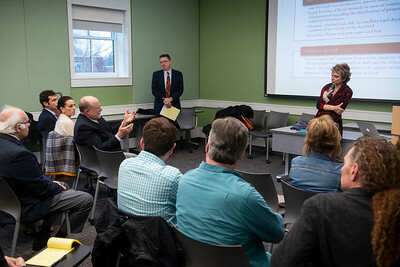 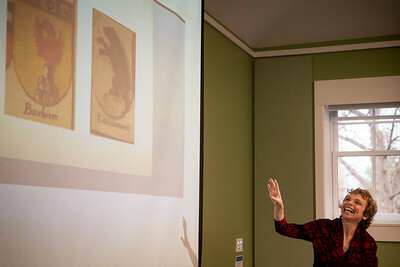 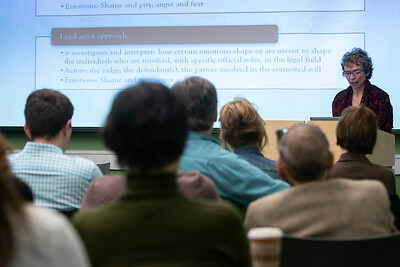 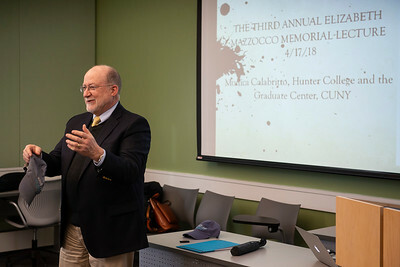 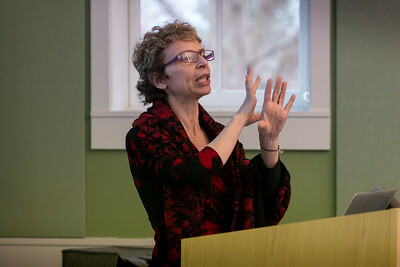 The title of her talk was “Emotions on trial: Legal documents and criminal proceedings of violence, murder and insanity in Early Modern Italy.” Photos by Ben Barnhart.